On April 22, 2017, the Music and Miracles Superfest will return to Jordan-Hare Stadium to benefit the Chicken Salad Chick Foundation. All proceeds fuel the foundation’s mission – “Fighting Cancer and Feeding the Hungry.” This is great chance to party with thousands of the biggest country music fans and support a great cause at the same time! Kevin Brown was diagnosed with stage-four colon cancer in November 2013, and it sparked a vision. Brown and his wife, Stacey, co-founders of Chicken Salad Chick, developed a passion for funding cancer research and feeding the hungry. By blending his passions for music and helping others, the first ever Jordan-Hare Stadium concert was held on April 23, 2016. It took 21 months and lots of effort, but it was the biggest thing that Brown wanted to do. The inaugural year attracted a crowd of 50,430 screaming fans and the goal is to make it happen again this year! The Chicken Salad Chick Foundation was started in 2014 with a focus on enhancing the patient experience in cancer treatment centers and supporting food-based charities. Over $60,000 has been raised to support community food programs. At the first Music and Miracles Superfest, $200,000 was raised to directly support cancer research. 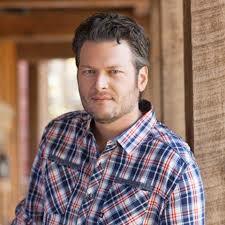 Grammy Award nominee Blake Shelton has recorded 22 chart-toppers in his career and is a judge on the hit t.v. show, The Voice. 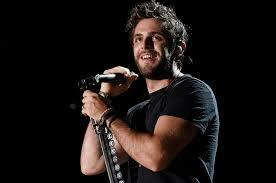 Thomas Rhett Akins Jr., son of the popular songwriter Rhett Akins, followed in his father’s footsteps to becoming one of the best writers and performers in country music. At just 27 years old, he has written hits with celebrities like Jason Aldean, Florida-Georgia Line, and Lee Brice. Kelsea Ballerini was recently nominated for Best New Artist at the Grammy’s. Her first three singles topped the charts at no. 1 and she won Female Vocalist of The Year at the Academy of Country Music Awards in 2017. Lynard Skynard is four generations old and has produced over 60 records. 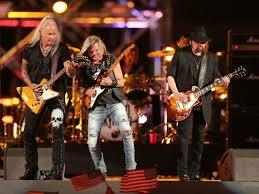 They got their start in 1964 as “My Backyard,” but their hit songs “Free Bird” and “Sweet Home Alabama” still play on the radio today. 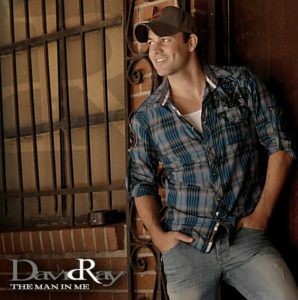 David Ray is new on the scene after winning Kenny Chesney’s “Next Big Star” competition. He got his start in Michigan playing for college crowds and is now an opener for several tours. Planting bulbs that produce during the summer months can save you time and money during the hotter months. 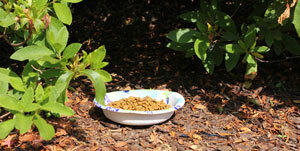 Keeping your flower beds full of life during the dry season requires commitment. Here are some tips for planting and managing your favorite type of summer flowering bulbs. Common species of these flowers include multiple types of lilies, caladiums, cannas, begonias, dahlias, and more. Bulbs have certain advantages in hot climates and adapt uniquely to different types of soils. Most bulbs prefer a moist, well-drained soil so be sure to monitor your soil samples. If you are located in sandy or heavy clay areas, add a soilless potting mix to create a richer growing environment. Northwest Alabama Regional Extension Agent for Home Grounds, Gardens, and Home Pests Taylor Vandiver said, “For summer flowering bulbs it is important that you don’t plant too early. Plant in the late spring after the danger of frost has passed.” Timing is important because a bulb that is planted too early may rot before it gets the chance to sprout. Exposure to sunlight requires some planning when deciding where you want your bulbs to grow. Bulbs respond well to a healthy balance of sun and shade so consider the sun’s path across the sky and notice what parts of your garden will be most exposed during the day. Research the specific bulb tendencies and plan your growing areas accordingly. Watering schedules are crucial to the health of any plant, but even more important during the hot and dry summers in the southeast. In periods of low rainfall make sure to supplement with irrigation and fresh cover for the planting area. “Mulch is a great option, not only for moisture retention but for weed control and suppression,” said Vandiver. Extra care for your plants starts by scouting for pests and insects during the planning stages of your landscape. Bulbs are susceptible to several diseases carried by insects above and below the surface. There are plenty of ways to be proactive in dealing with a problem in the garden and it starts by examining your plants regularly. Be sure to allow enough room for each bulb to grow efficiently and if an issue arises, contact your local extension agent by visiting http://www.aces.edu/directory/. A house is a building that someone turns into a home by raising a family under its roof. They cherish the memories that are made in each room and take pride in the way it looks. That is until a critter moves into the attic and the whole house becomes a war zone. A varmint is defined as a troublesome wild animal that is undesirable. It is often a personal opinion about what animals are unwanted, but it is important to know how to handle them in a personal space. Hostility can put the animal or even the person in danger if a struggle occurs. The best way to prevent a home invasion is by conducting regular perimeter checks of your property and ventilation areas. If a problem area is noticed, prepare to fix the location with screen or other building materials. Before addressing the affected area, be sure to check interior spaces that may have been hurt as well. 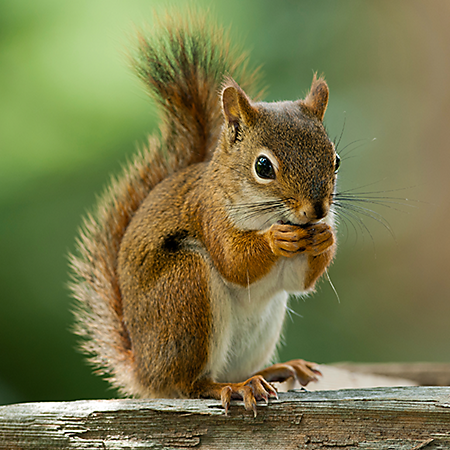 Animals commonly found in an attic can include squirrels, bats, mice and occasionally rat snakes. They can enter through holes or vents where in most cases, an animal chews through a screen to create an entry way for others to follow. 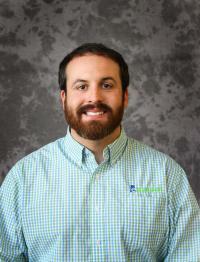 Regional Extension Agent Jordan Graves specializes in forestry, wildlife and natural resource management in east central Alabama. “I wouldn’t advise homeowners to remove pests themselves, but instead call a wildlife removal specialist,” said Graves. In the event that bats have entered your attic, it is important to notice when they are present and absent from the space. It is best to let the bats leave for a period time then cover the entry way that has been breached. The best way to handle a varmint problem is for a professional removal specialist to set a trap that ensures a proper removal process. Once the animal is removed, the entry way can be repaired so it can’t be breached again. In the event that you have an ongoing problem, observe the space and what is attracting the varmints. Be sure that you are storing food properly, sealing containers and reducing clutter. If an issue arises, be sure to contact your local extension agent or wildlife office at http://www.aces.edu/directory/. Jordan-Hare Stadium is known for producing one of the most charming atmospheres in all of college football, but what do the players think about it? Sure, a stadium that seats 87,451 screaming fans can create game-day butterflies for anyone. What does the sanctuary of the south end zone do for the ones playing? 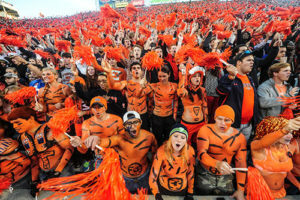 A student section has the power to influence player morale, energy and productivity. Located above the team’s field entrance, this area is the first impression for players, guests and prospective students. The section holds approximately 12,000 seats, and with a current enrollment of over 27,000 students, those tickets are in high demand. Athletes understand that attendance fluctuates based on wins and losses, the weather and game time, but some other opinions float through players’ minds about the south end zone sanctuary. As the former punter for Auburn, I want the student section to be packed at every game, but I know that not all games are created equally. I always try to put myself in student’s shoes and remember that some games are less appealing than others. Otherwise known as the fourth down quarterback, I had the opportunity to hear the student section scream a chant every time I trotted onto the field. Before I would punt the ball to the other team I would hear, “Boom it, Kevin, Boom it.” This surprised me at first, and I didn’t know how to feel about it, but the chant grew on me. When asked what I think about the chant, I always say that I enjoy it. Looking back, the student section was key to my experience as a player and a source for energy and morale during games. 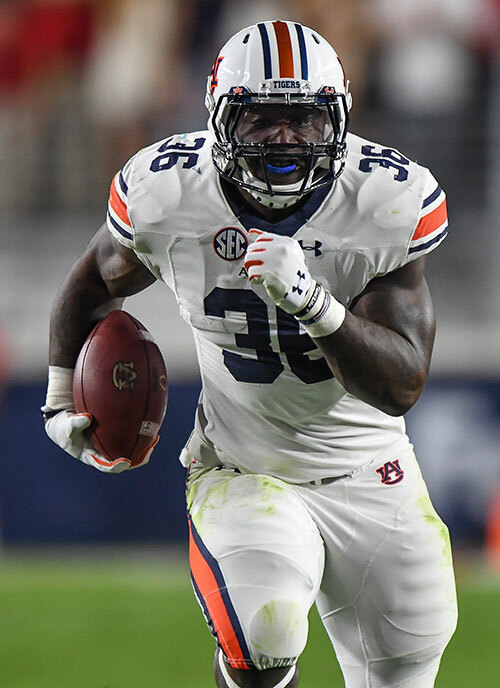 When First-Team All-SEC running back Kamryn Pettway sees the student section after powering into the end zone, he makes sure to celebrate with them. “I feel like the student section is a big part of our success. 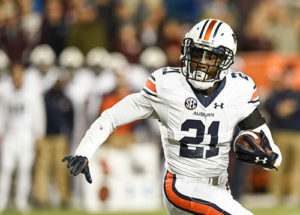 I feel like they give us a lot of momentum and motivation,” Pettway said. At the end of the day, it comes down to the overall Auburn experience for both sides. The team wants the students to have fun and fill the stadium. Students want to see Auburn win football games. So in keeping with the spirit of the Auburn Family, take every opportunity to watch a game from the student section – you only get so many. Have you ever been strolling through campus on your way to class and felt like something was watching you from the shadows? Don’t worry because it was probably one of the campus cats. Some of them have been here as long as 15 years controlling the rodent population and charming the cat lovers of the Auburn faithful on a daily basis. You may think that they are strays roaming around Auburn’s campus, but they have been fixed, had their shots and are looked after closely. Some have even had their own Twitter account. 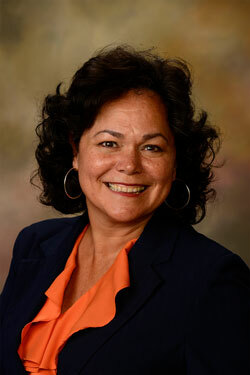 Dr. Maria Witte is a professor in Adult Education who has overseen the Campus Cat Project for nearly 12 years. “On average, I pick up at least eight cats or kittens per year,” said Witte. Even when there is no funding, Witte counts her care for the furry friends as community service. Over 15 years ago there was a program called “Cat Nap” that caught the campus cats to have them fixed and released back to campus. 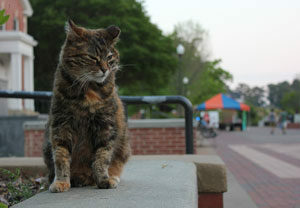 If Facilities Management could have it their way then there wouldn’t be cats living on campus. Whether they get released by students who can’t keep them or they wander here, the reality is that there will always be cats around campus. The goal is to manage and protect them. 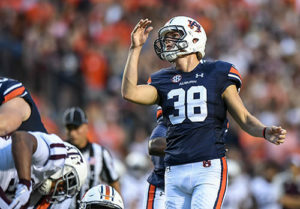 Cody Bass, an Auburn native who studies in the College of Liberal Arts, accepted the responsibility of feeding the cats whenever Witte is away. “Dr. Witte approached me about taking care of the cats when one of her helpers couldn’t take care of them anymore,” said Bass. So for the past year, he has been on call in case Witte needs help. Bass begins his duties around 7 a.m. by picking up a bag of food and bowls at Dr. Witte’s office and starts his route. His first stop is M. White Smith Hall, located on Mell Street, then he walks to central campus to visit the rest of the locations. Bass is so dedicated that he even brings his own bottles of water to help them wash down their meals. And when the work day is over, he makes his rounds again to give them their second serving of the day. All of the cats are unique and require different care than others. 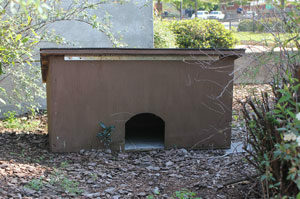 Several of the cats have access to box-shaped houses around campus. Witte does take food donations, but she encourages people to contribute to the Lee County Humane Society. Over six months ago a search began to find a candidate that will replace Dr. Jay Gogue in July of 2017. The search is over and Dr. Steven Leath is ready to take root as the 19th president of Auburn University. In September of 2016, students from all backgrounds had the opportunity to tell the search committee what they wanted to see in the next president. The 14-member board listened closely then began conducting an inclusive search to find the best candidate for Auburn. On Monday, March 20, trustee Raymond Harbert, who lead the search committee said, “This is a great day for Auburn.” A historical day indeed, but what should current and future students be expecting from the leadership of Leath? Students can prepare for plenty of interaction with Leath once he arrives in July. In his time at Iowa State University, he and his wife, Janet, regularly spent time with students during meals, sporting events and conducting leadership classes. Leath has even sacrificed time at late hours of the night to promote student safety downtown. In his five-year stint at Iowa State, Leath has helped lower student debt, increase research expenditures and set fundraising records. Those achievements are incredible, but be careful not to compare what he has done in the past to what he can do for Auburn. Leath’s biggest task will be taking Gogue’s work and fitting that with his vision for what Auburn needs. “Dr. Leath is incredibly lucky to inherit this success, and I believe he has the chance to make Auburn one of the top schools in the country,” said past Student Government Association President Jesse Westerhouse. Westerhouse had the opportunity to serve on the presidential search committee as the student’s voice and took the job very seriously. “In working with Dr. Gogue over the past year, he has always been encouraging to get projects done that the students see as a priority. 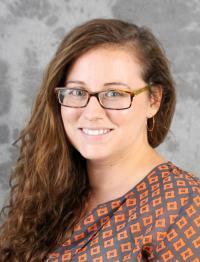 In my interactions with Dr. Leath, I see that same trait in him,” Westerhouse said. Coming from those who know Leath the best, he is a leader who will go far and above the call to work for the betterment of Auburn. He will listen closely to the concerns of students, work with faculty and staff to improve research, funding and national recognition. He is excited to interact with alumni, learn about their time here and become a tireless champion for this university. 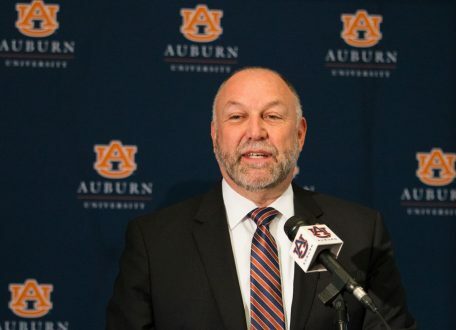 “When I leave here, if everybody knows Auburn and its accomplishments, I’ll be happy,” said Leath. What is a Master Gardener and How Do I Join? 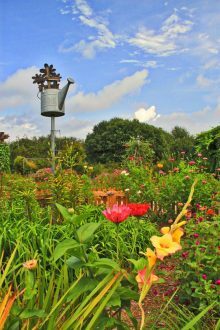 AUBURN, Ala. – Do you wish you had a garden that looks like a feature in Southern Living Magazine, but you just don’t have the “green thumb” like your great-grandmother? The good news is that there are qualified people who are able to answer your questions if you reach out – they are called Master Gardeners. The Master Gardener program was founded in 1972 by the Washington State University Cooperative Extension. The goal of the program is to train volunteers who will give gardening advice to those who seek it. There are organized programs in all 50 states and eight Canadian provinces. According to State Master Gardener Program Coordinator Kerry Smith, Alabama has Master Gardener programs in about 30 counties. The County Extension offices host the educational MG training classes. Each Master Gardener group has their own projects. From demonstration gardens to tree plantings, Ask a Master Gardener at various outlets to County Fair booths, Earth Day activities to a Lunch and Learn, their passion is inspiring. The Lee County MG’s have three demonstration gardens, all intended to teach anyone interested in gardening. The MG garden at Kiesel Park, in Auburn, is tended most Tuesday mornings during the growing season. Smith develops the class content and works with local Extension agents who coordinate the county-based programs. “Basically, we cram two years of undergraduate horticulture instruction into 13 classes. It’s quite a commitment,” Smith said. To become a certified Master Gardener, you must complete the classwork and 50 hours of volunteer service in a community project. Many projects, such as a community food garden in Marshall County, are active in each location. Although most MG volunteers are retirees, they welcome community partners to get active and find their place alongside them no matter how much time you have to spend. Gardening is also a way for high school and college students to get active in service opportunities. Partnerships are available through local Master Gardener associations. All of them promote community service and education. To get involved, call your County Extension office, or visit http://www.aces.edu/directory/. 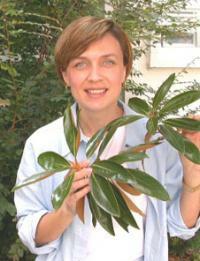 From there, you are linked to the proper contacts of a Master Gardener program nearby. Author adminPosted on April 10, 2017 April 27, 2017 Leave a comment on What is a Master Gardener and How Do I Join?